If you're looking to elevate the look of your invitations, wax seals are the perfect finishing touch. At Our Wedding Brand, all clients receive a custom wedding logo — so we'll take your very own logo and turn that into a wax seal stamp. Wax seals can be used to close envelopes, pocket invitations, or added to your invitations itself. Choose from over 50 colors to compliment your invitation. 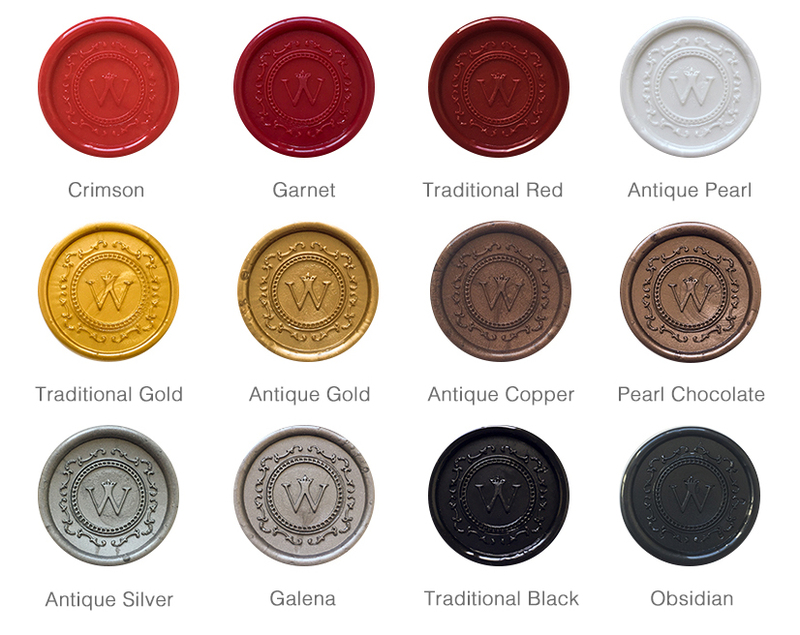 All wax seal color options are listed below. 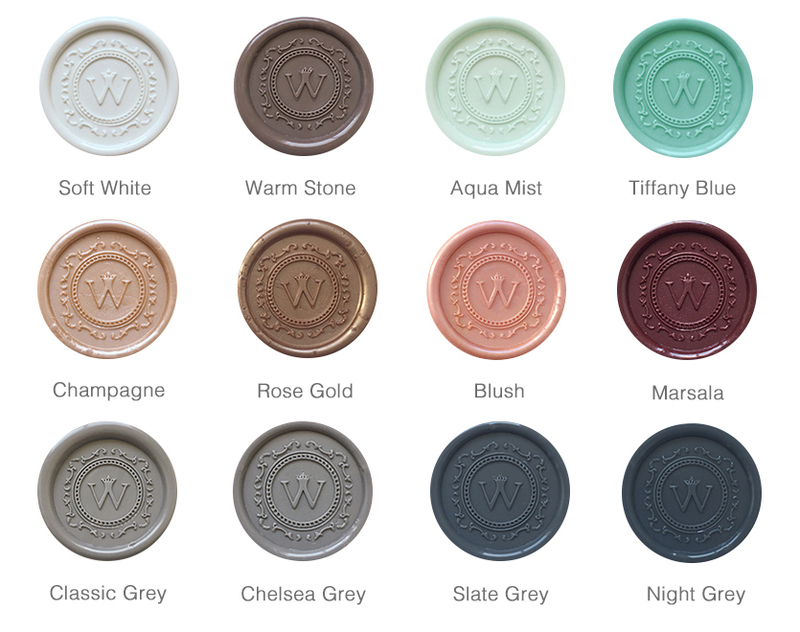 Colors are best viewed in person, so contact us to set up a meeting to see swatches in person.